"DESIRABLE RICOS & FAMOSOS NEIGHBORHOOD"
Unique 2 bedroom 2 bath home with open air entertaining area. 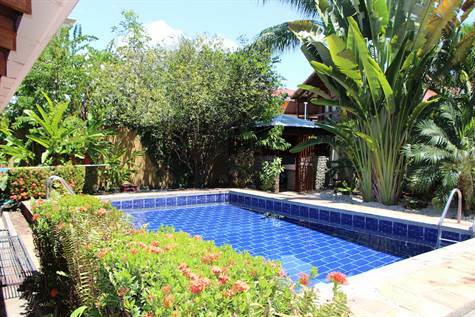 Large outdoor terrace is ideal for BBQs and enjoying the pool and tropical landscaped grounds. Inside you'll find custom stone walls and high exotic wood ceilings. Both bedrooms have double wide doors opening up to the pool and beautiful landscape.